When considering a luxury vehicle, two of the most iconic luxury brands that come to mind are Mercedes-Benz and BMW. Each brand offers an extensive lineup of sedans, coupes, SUVs, and hybrid variants which can make choosing between the two seem very difficult. In order to help take some of the stress out of your decision, our team at Mercedes-Benz of Akron has created this in-depth comparison where you’ll discover all of the advantages of choosing a Mercedes-Benz over a BMW. You’ll have all the knowledge you need to make an informed buying decision. One of the most carefully considered aspects of any luxury vehicle purchase is the overall brand image of a manufacturer. Buyers tend to have a strong preference for a brand with a proven reputation for reliability, unparalleled luxury, and distinctive styling that’s far from ordinary. That’s precisely why the engineers at Mercedes-Benz design vehicles to exacting standards in an effort to build some of the highest quality models on the road today. Kelley Blue Book has recently announced the results of their 2018 Brand Image Awards. Mercedes-Benz has been selected as the Most Refined Luxury Brand for 2018, recognizing the sophistication, elegance, and cutting-edge technology features found on every Mercedes-Benz vehicle. Topping all other luxury brands including BMW, Mercedes-Benz is the superior choice for drivers who demand only the best. No matter what type of driver you are, staying safe and protected from the unexpected on the roadways is always a primary concern. Especially important to those with growing families, driving a vehicle equipped with groundbreaking safety technologies and impeccable build quality can certainly add confidence and peace of mind behind the wheel. Since the very beginning, Mercedes-Benz has been at the forefront of developing several of the safety features that are now commonplace across the industry. Listed below is a collection of only a handful of safety milestones which have made their debut on a Mercedes-Benz vehicle. It comes as no surprise that Mercedes-Benz received more 2018 Top Safety Pick+ awards from the Insurance Institute for Highway Safety (IIHS) than BMW. 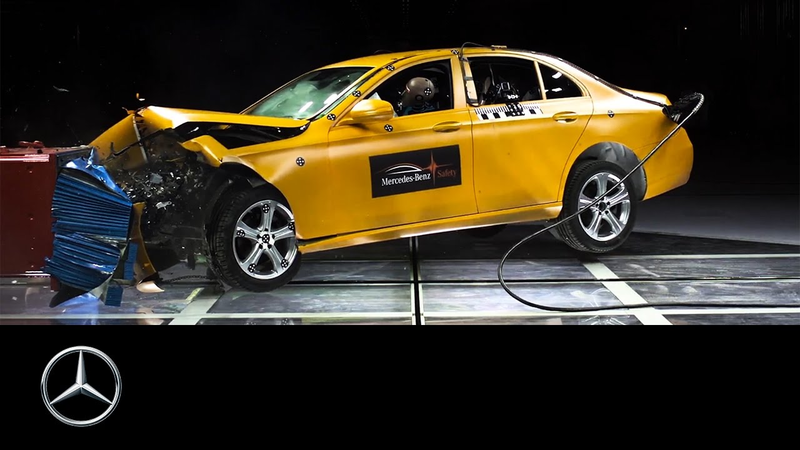 The Mercedes-Benz E-Class, GLC, and GLE have each earned top honors in the most rigorous test for vehicle safety in the United States. 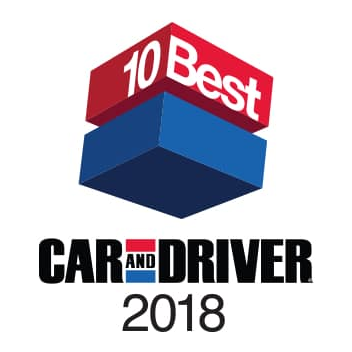 Since 1983, the experts at Car and Driver have named their top vehicle choices in their annual 10Best list. Only the best-of-the-best are chosen from a diverse group of satisfying and special vehicles that deliver a superior combination of value, driving enjoyment, and fulfillment of their intended mission. While Mercedes-Benz was selected, BMW failed to make the cut. 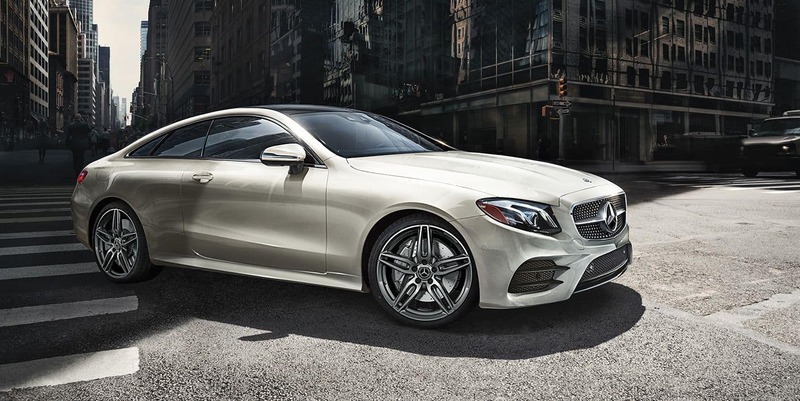 The 2018 Mercedes-Benz E 400 and AMG® E 43 each were named to this prestigious list for their unmatched blend of versatility, opulence, and pure driving satisfaction. Combining iconic Mercedes-Benz elegance with a dazzling collection of technologies, these E-Class models include inspired performance which ranges from mild to wild. Whether you choose the spacious four-door, dramatic coupe, airy convertible, practical station wagon, or performance-focused AMG® E 43 — Mercedes-Benz has an E-Class that’s perfectly suited to your lifestyle. It’s always reassuring to drive a vehicle that’s designed, engineered, and constructed to exacting standards. Since a new car purchase is among the largest that you’ll ever make, it’s only natural to prefer brands with a renowned reputation for exceptional build quality and long-lasting dependability. The 2018 Dependability ratings and awards measure the responses from more than 80,000 verified owners of 3-year-old vehicles each year. This rating focuses on the type and number of problems owners experienced during the preceding 12 months with their 3-year-old vehicle. The fewer the number of problems reported by car owners, the higher the score. Ranking highest in the Compact Premium SUV segments in terms of vehicle dependability, based on feedback from their original owners is the 2015 Mercedes-Benz GLK. BMW did not earn any nominations in the 2018 Highest Dependability Ratings from J.D. Power. Mercedes-Benz of Akron invites you to come experience all that the Mercedes-Benz lineup has to offer. Whether you’re interested in a sedan, coupe, or SUV — our product specialists are standing by to help you find the vehicle that’s perfect for your needs and driving style.